Vietnam always attaches importance to the traditional friendship and multifaceted cooperation with India, Vietnamese State President Truong Tan Sang said Sep. 17. President Sang made the affirmation at a reception for Indian Foreign Minister S. M. Krishna in Hanoi, adding that Vietnam is striving to develop the strategic partnership with India, thus bringing practical benefits to both countries and contributing to peace, stability and development in the region and the world. AFP - Visiting Indian Foreign Minister S.M. Krishna (L) shakes hands with Vietnamese President Truong Tan Sang during their meeting at the presidential palace in Hanoi on September 17, 2011. 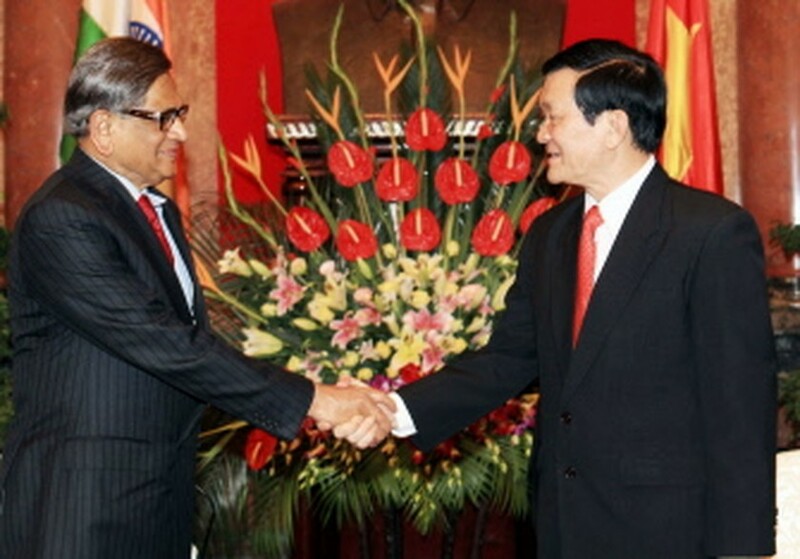 President Sang hailed FM Krishna’s visit to Vietnam and his co-chair of the 14th session of the Vietnam-India Joint Committee on Trade, Economic, Scientific and Technological Cooperation in Hanoi, saying that its results would create favourable conditions for the two countries to promote their trade and investment ties in line with their potential. 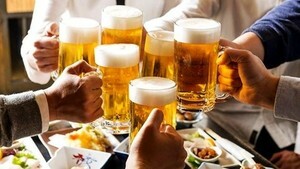 He said Vietnam has and will continue to create favourable conditions for Indian businesses to invest in the country. Vietnam also supports India’s efforts to improve its position in the region and the world. He also expressed his belief that India will effectively assume the permanent membership of the UN Security Council when it is expanded. President Sang welcomed the “Look East” policy and the active participation of India in the region and supports the strengthening of the ASEAN-India dialogue. FM Krishna said the traditional and multifaceted cooperation between India and Vietnam is developing fruitfully and affirmed that India has numerous parties, but all want to further promote relations with Vietnam. The Indian FM expressed his pleasure at the results of the 14th session of the Vietnam-India Joint Committee on Trade, Economic, Scientific and Technological Cooperation, which include preparations for the upcoming official visit to India by State President Truong Tan Sang and the implementation of activities to mark the 40th anniversary of diplomatic ties and 5 years of strategic partnership between the two countries in 2012.